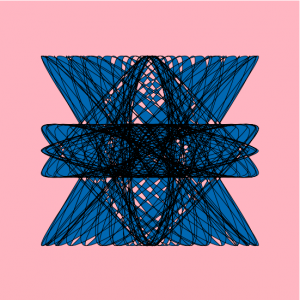 I used Astroid Radial Curve to create this form. I wanted to create a form with complexed lines, and get a doodle-like form. 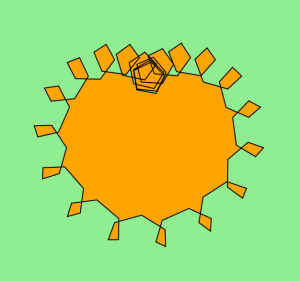 Random shapes are created when mouse is clicked. Overall shapes look like that they have random shapes however it also keeps the pattern at the same time. 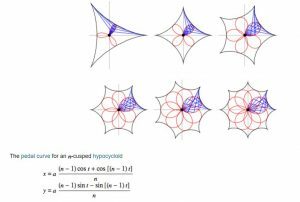 I was intrigued by the idea to create flower shapes utilizing epicycloid and hypocycloid formula. I mapped the background color, size of the flower shapes, as well as its rotation to the position of mouseX. Because there are three layers of pedals, I alternated the direction of each rotation to create a more interesting shape. 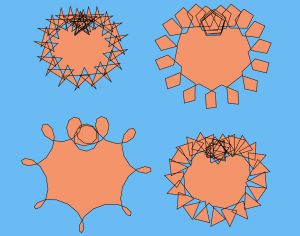 Also, by increasing the size of the flowers based on mouseX, the shapes appear as if it’s approaching you. var yfactor = mouseX / 25;//makes waves! I was at first very scared for this project since it was using math equations. After getting the initial shape I had a lot of fun playing with possible interactions the mouse could have with the equation. In this project I wanted to create an animation of waves that crash as you move your mouse across the horizontal axis. 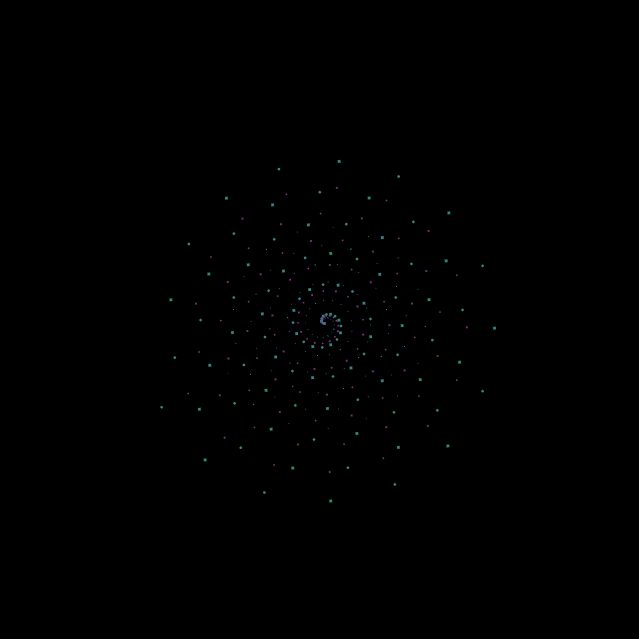 The waves change color as you move your mouse across the vertical axis. I really enjoyed learning about the many ways you could alter math equations to create animations and had fun by using trial and error to discover new ways to move the object. 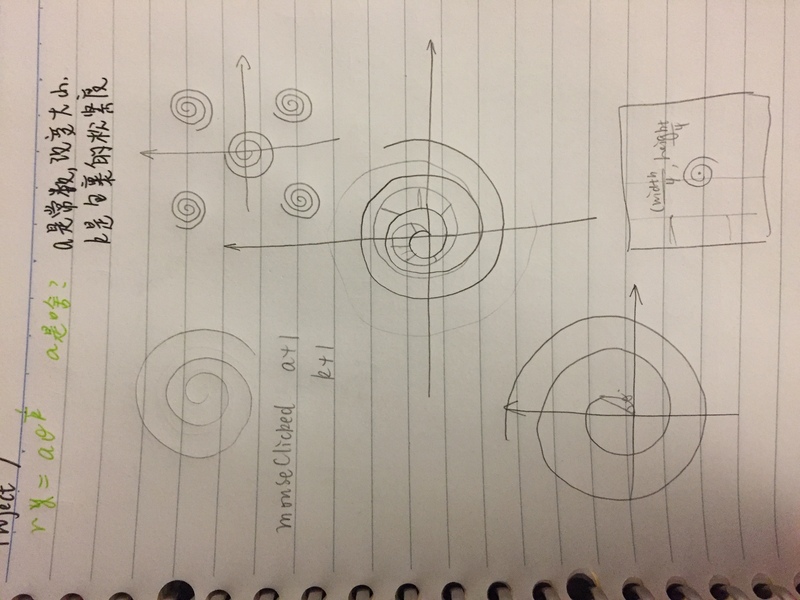 I searched through the functions provided on math world and selected this spiral because it had a simplicity to it, yet it could have so many different forms. I created this starry night image because spirals remind me of stars. A problem that I had to deal with was that if you put too many circles in a single spiral each ring would align and look less interesting. I chose the bicorn curve, which looks somewhat like an upside down smiley face, which is why I reversed it. I made the mouseX control the width, and the mouseY control the depth of the curve as well as the size of the dots drawing it. For this project, I made a bunch of “peaches” that start off looking like normal peaches while your mouse is at the top of the canvas. 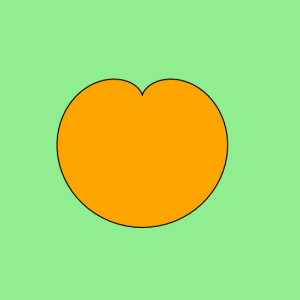 Once your mouse goes down the canvas, the edges of each of the peaches creates a new shape. Moving your mouse left or right changes the rotation of those edge shapes. The original curve that I found on the MathWorld website was called a “Cardioid”. I rotated it 270˚ in order to look more like a peach. Then while playing around with the values set in my curve equation, I found that I could create different-looking edge shapes, like how the top left curve’s edges seem to make star shapes, and the bottom left curve’s edges create more of a loop shape. And then changed the colors and created a grid of varying peaches, with varying edge shapes! 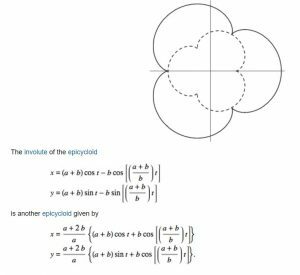 In this project, I started with a pretty simple equation of a Hypotrochoid. 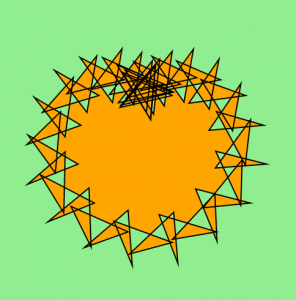 The shape turned out to be quite standard, but I wanted to create something that would use curves in a way that would be very difficult to physically draw, but easily computed. This is why I liked the idea of playing with the equation, and so I did. I ended up changing parts of it, which resulted in a interesting shape that evolves and moves according to the mouse coordinates (And it changes with every click!). 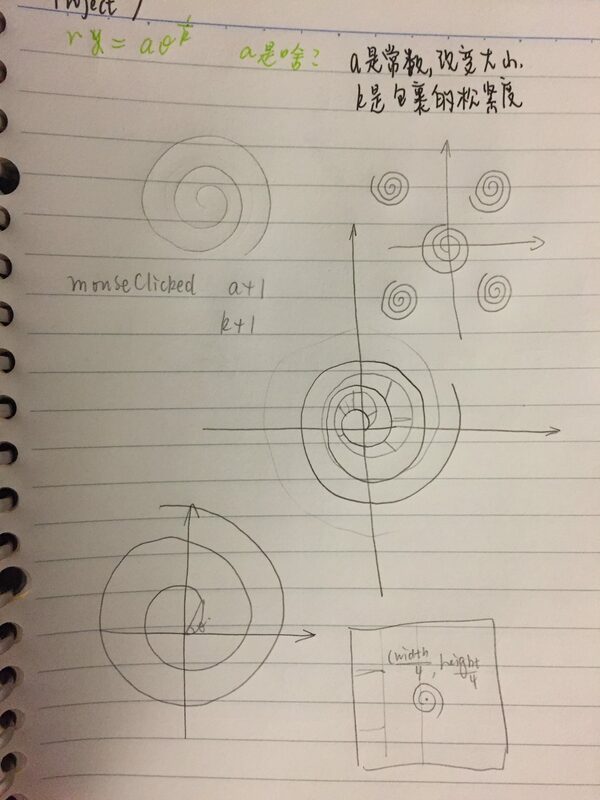 I think that using the curve equations allowed beautiful continuous motion of a changing shape.